RAM has a somewhat unique niche with the RAM 2500-based Power Wagon. Less of a bespoke high speed offroader – Mopar has the RAM Runner for that kind of work – the Power Wagon is designed to be something of a heavy duty jack of all trades. To that end, the Power Wagon is designed to be highly capable in a variety of demanding situations, from traversing harsh terrain and fording streams to assisting disabled vehicles with its 12,800 pound winch and using its class five trailer hitch and 10,800 pound tow capacity to pull some serious cargo. 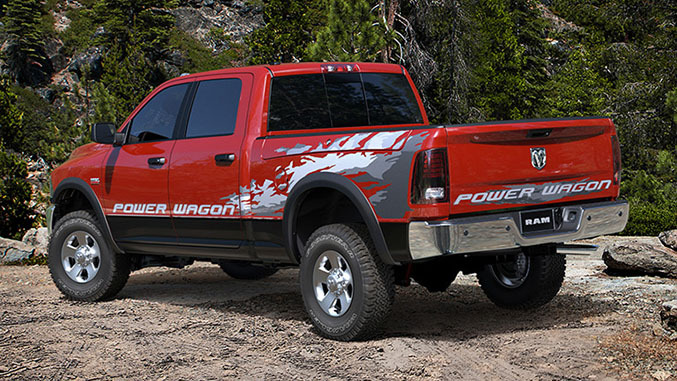 For 2014, the Power Wagon ditches the 5.7-liter Hemi in favor of its bigger brother, the 6.4-liter V8, which makes 410 horsepower and 429 pound-feet of torque, up 27 hp and 29 lb-ft from last year. Beyond peak output, the 6.4-liter unit is said to make its power much lower in the rev range than the outgoing unit, and the new mill's low-load cylinder deactivation feature also makes it more fuel efficient as well. Each axle is fitted with an electronically locking differential, and a manually engaged Borg-Warner transfer case distributes the power where it’s needed. 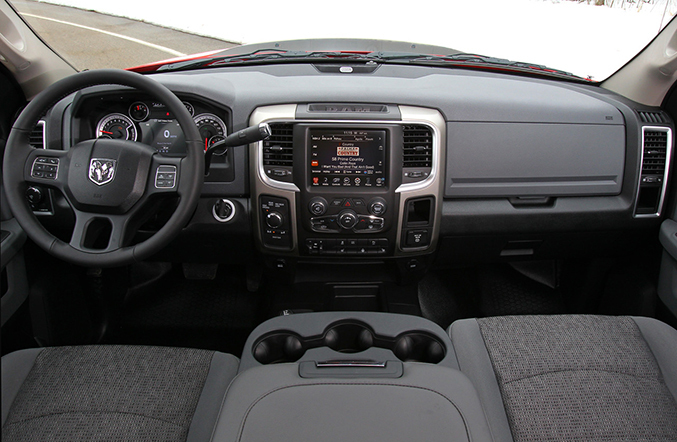 The front suspension features the new Articulink system, which includes a front-sway-bar disconnect to bolster the Power Wagon’s off-road capability, while 33-inch Goodyear tires help to give the Power Wagon 14.5 inches of ground clearance and the ability to traverse up to 30 inches of standing water. Pricing for the Power Wagon starts at $45,690, while the top-spec Laramie, which includes LED lights at all four corners, leather interior, chrome trim, uprated wheels and other upgrades comes in at $56,015 with the $1,195 destination charge.